Discussion in 'Missed Ads' started by rickyoh, May 3, 2014. I only had pinterest on my end as ive been adding them myself lol here is what i have at moment and ive sent a copy to avatar but this has the pinterest update. WIth these added, it should only keep comments, email and print. thats quite a list! there has to be(should be ?) 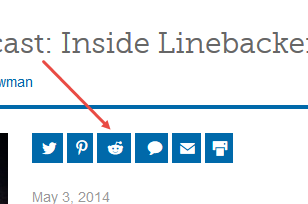 a better way to nuke these social widgets without filtering the print and mail widgets as well. As i said in the reuters post there is a list with over 6,000 combinations and also one with over 11,000 so, no thre isn't really a better way because everyone codes a little differently but the best way not to affect the print and email widgets is to block each element indevidually over the class/id thats holding them but it really depends on what the user wants. Some users dont mind print and email being removed where as others obviously do. Again back to the reuters post i made two options the quick and nasty one removing everything in sight and then also the more detailed one that left the elements on the page you wanted i personally preffer the more detailed one because it works on more sites as seen here, plus it does not break pages as much but thats my opinion. Nameless mine was a general observation and not an assault on the wonderful work you are doing to combat the scourge of the internet(in my opinion); social widgets. unfortunately you are right, the only way i can see is to target the widgets individually and that is why i wondered out loud why it had to be this way. hope this clears up any misunderstanding. Rick, i did not see anything wrong with your reply i was just explaining there there was not quick and easy fix for them as everyone codes differently, you did nothing wrong so no need to apologize. If it seemed like i was attacking you then i do apologize that was not my intention, i was just trying to explain its going to take alot of work to get the majority of them. Rick, why trying to save print widget? It does the same thing as if you press Ctrl+P in your browser. yes that is an option, however some people may not know enough to grasp that ctrl+p is the print shortcut so for them, such a widget is essential. also it's good to always have options.